When you live with poorest. there is no cost identifying them nor tracking exponential impacts of everything that's put on them. 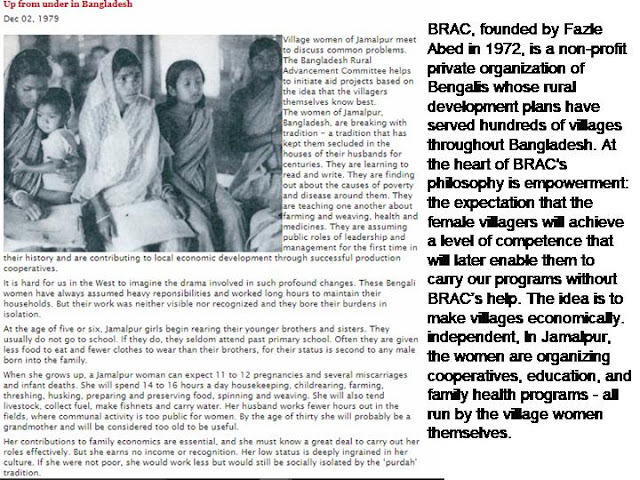 BRAC reinvented charity –wherever it was possible to scale a social solution franchise round the poorest with positive cash flow it did so. Wherever it sought an opportunity it timed the most critical and most economical first. Oral rehydration saving quarter of all infants lives. Rice crop science as essential to end oriental famine as it pioneered with China. Over the years BRAC designed many hundred microfranchises and fitted these together so as to take over leadership purpose of whole market’s value chain integrated around the poorest. BRAC published every trial and error since trust in development marketing actively needs more iterative concept development and open sourcing of knowhow than any other kind of marketing. 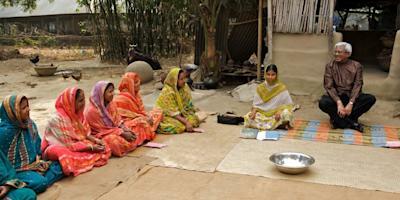 Where eg children positive cashflow model wasn’t possible it innovated direct cash transfer. BRAC.net and BASH.COM are now world favorite partners especially wherever leapfrog opportunity arise- ie poverty trap caused by not having access to a grid infrastructure resolved by leading new infrastructure eg microsolar for those off electricity grids, mobile for those never accessed to landline telecoms, the world's largest cashless banking bkash.com designed round universal access to text mobile..
Every employee of BRAC sees themselves as educator and servant leader. In this way, BRAC grassroots networking transforms whole education systems around learning for a living ; it redesigns lifelong learning seizing action learning apprenticeships at any age relevant. Today, wherever an education system exists that is not wholly designed around youth livelihoods as the right stuff -what Jack Ma calls LQ : the quotient of Love - search out how to learn from BRAC. It will cost you nothing to check out where the joy of learning begins. None of the 17 sustainability goals can be most effectively and most efficiently addressed without making sure relevant BRAC knowhow is linked in. Otherwise accidentally by not being connected to bottom, development will spiral new underclasses and will fails to resolve whatever deepest cultural conflicts had been structured in to intergenerational poverty or which today's acceleartaion of unprecedented innovation will cause next.